or any of Spangler's numbers. Please see link to Spangler Mortuaries website. 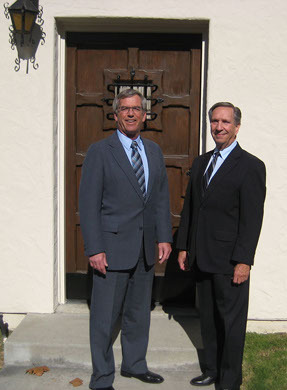 Funeral Home in Palo Alto announced that their funeral facility located at 980 Middlefield Road, in Palo Alto closed for business on November 1, 2013. Mr. Roller stated "The property value in Palo Alto is so great it can no longer justify use as a funeral home. The priority at Roller & Hapgood & Tinney has always been to deliver quality and professional services to the families that entrust us with their loved ones. When the sale of the property became inevitable we searched for a firm that shared the same values. We are very pleased to announce that Spangler Mortuaries, with four locations, will continue the Roller tradition." Because of the numerous files amassed over the years (114), RHT has entrusted Jim Spangler and his dedicated staff at Spangler Mortuaries to care for past records. Jim Spangler, third generation Owner and President of Spangler Mortuaries and graduate of Stanford University (BA Economics 1979) says, "I am very honored Paul Roller has confidence that we have shown the integrity and professional ethics he was looking for. Spangler Mortuaries has always respected the work of Roller & Hapgood & Tinney Funeral Home. We are committed to carrying on the tradition of quality and ethical services." Joining Mr. Spangler in serving the Roller & Hapgood & Tinney families is Tom Pappas, a well-known Funeral Director in the Palo Alto and Menlo Park communities who has been involved with both RHT & Spanglers for over 55 years. Sunnyvale Chapel & Crematory - 174 N. Sunnyvale Ave.